I love buying new outfits for special occasions - especially during the holidays. Wearing a new dress or the perfect top and pant combo can give you the boost you need to get into the holiday spirit. Even more fun, is picking out some new and old makeup favourites to go with a new outfit. A bold lip can give be the perfect statement to make you dazzle during the holiday season. Let's talk about my four favourite holiday lip colours to wear this holiday season! Red is a classic makeup staple during the holiday season. 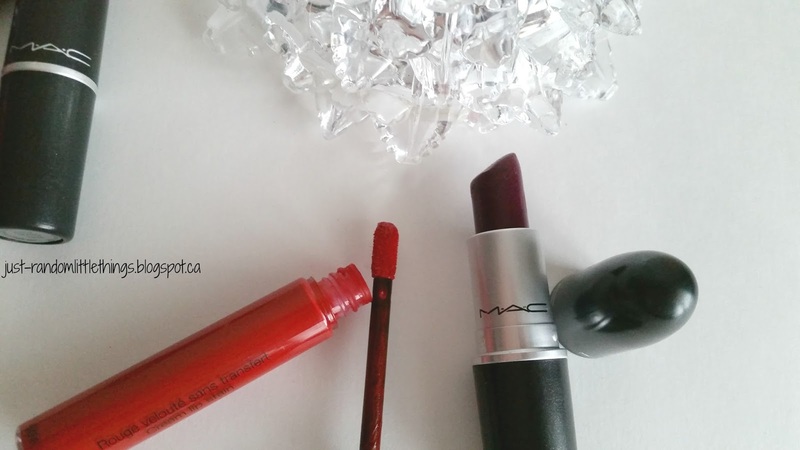 This cool toned red is the perfect 'christmas' red to pair with your holiday outfits. 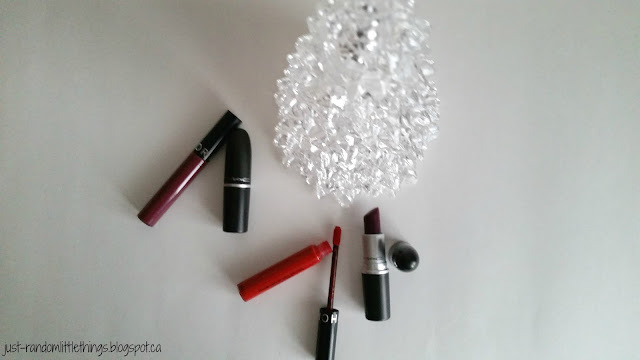 I love the texture and long lasting power of this lipstick especially during the season of holiday gatherings. Pair this lip colour with a peach blush and you're good to go! I love having different shades of red in my makeup collection. Depending on what outfit I'm wearing a cool or warmer tone is crucial to making it complete. I love this shade of red of Sephora's line! Honestly, if I could wear it everyday I probably would...The only issue is that this red doesn't necessarily pair well with all colours. I usually pair this red lip stain with whites, blacks, greys or reds. 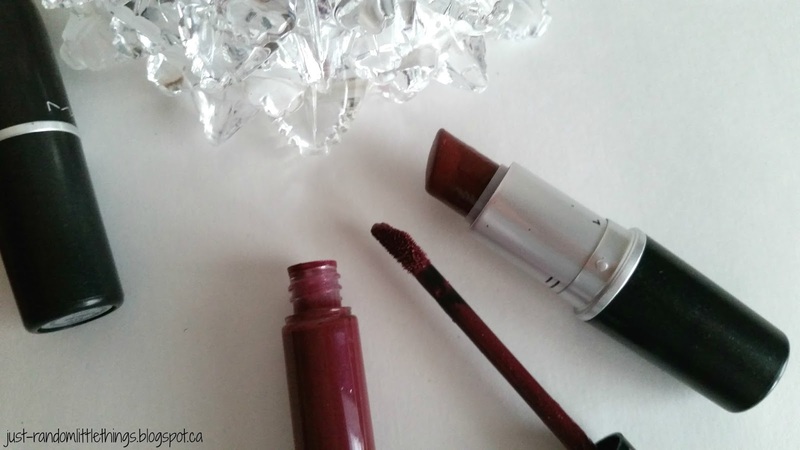 I love the staying power of this lip stain (they really mean lip stain when they say it!). Very pigmented and I love the smell of it! Whenever I wear this lip colour, I always get compliments! 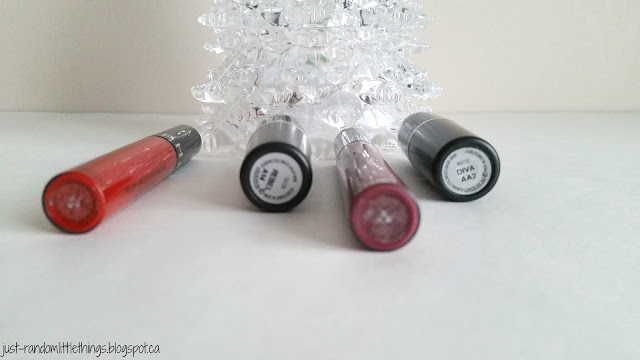 Introducing other lip colours aside from red into your holiday makeup look is a must! While I love a classic red lip, there's something about switching up the norm. For me that means a deep purple/berry lip. MAC's Rebel lipstick couldn't fit this description any better. Such a great holiday colour to spruce up your outfit. This shade of purple has a warmer tone. Pair this with the perfect lip liner and you are ready to party all night long! Since I love the Spehora lip stain product, I had to get it in purple. This purple lip stain has more of a cooler tone to it, giving you a completely different look for your night out. The formula and lasting power is outstanding! Application of this product can be a little tricky since the product does stain. Apply a lip liner and go slowly. Don't rush. Take your time with the application and you'll be sure to have the perfect holiday lip! What are your favorite holiday lip colours?